"Mój brat idzie z tymi żołnierzami." Translation:My brother is going with these soldiers. Ok, I put 'those' soldiers and was marked wrong. How would I denote, then, 'those soldiers'? "... those soldiers" is correct. 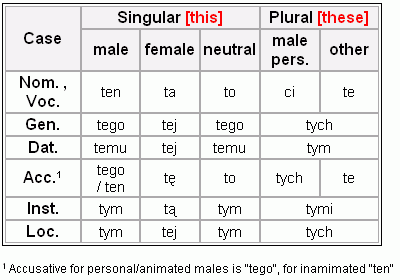 This is the reason why often what is in Polish "ten, ta, to" (the closest one), it is translated to English "that", and in plural "ci, te", is translated to "those" - while the literal translation would rather be "this" and "these". Therefore, while "... those soldiers" is not a literal translation of "...tymi żołnierzami" - it should be however accepted, at least with some note. THIS is "ten", "ta", "to". 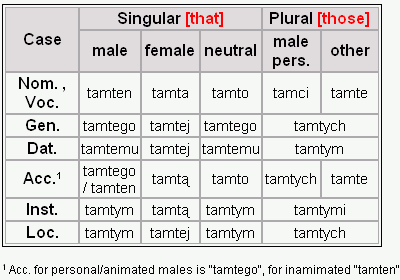 THAT is "tamten", "tamta", "tamto" or less used "ów", "owa", "owo"
THOSE is "tamci", "tamte" or less used "owi", "owe"
Brilliant reply, thanks for that explanation - it really helped me too! 'with these soldiers' = "z tymi żołnierzami"
'with those soldiers' = "z tamtymi żołnierzami"
Because in Verbs of Motion, Polish actually does care about the difference between Present Simple and Present Continuous. 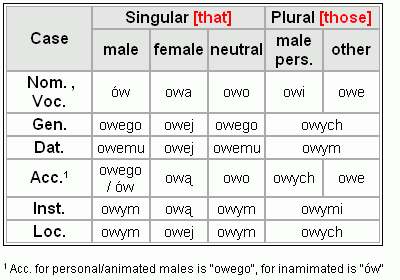 "goes" translates to "chodzi". "My brother goes with these soldiers. " was marked wrong. But the correction was: My brother's going with these soldiers. I cannot really see the difference. What did I miss?